A few weeks ago I wrote an article that was widely read in the aikido community: Are you an unwitting participant in the demise of Aikido?. It was very painful for me to write those words since my entire adult life has been devoted to aikido. My thesis, gleaned from conversations in recent years with many influential teachers, was that aikido is steadily declining in popularity as a martial art. This is partially due to lacklustre leadership and what is widely perceived as ineffectual technique. Yet perhaps the biggest reason for this phenomenon is the proliferation of alternative disciplines — most of them competitive — that siphon off a huge chunk of the potential audience of those desiring to learn self-defense. Aikido has simply not been able to compete! I recommended that practitioners re-examine their approach to training and apply certain proven principles in their practice that will lead to better technical skills. I further stressed the importance of returning to aikido’s roots and familiarizing oneself with the Founder’s ideas and the specifics of his technique. I think these are essential to reversing the trend. Yet I am fully aware that there are other problems to be addressed in order to reposition aikido as a respected martial art whose qualities attract a wide audience. 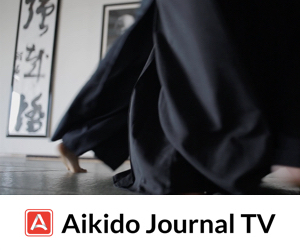 The success of aikido is not solely related to improving the martial skills of individual practitioners. Something else needs to change too. 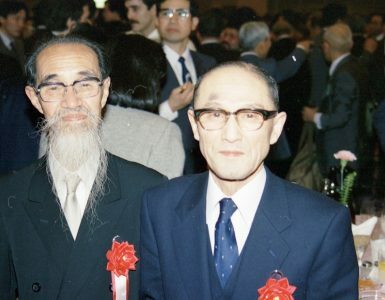 Here and there, there are a particular breed of dojo owners who devote their lives to spreading aikido in accordance with the spirit of the Founder. These individuals are not amateurs. They approach the art and its propagation as their calling. They are professional and apply their business acumen to the task. They integrate their dojos and memberships with the community and constantly seek innovative approaches to expand their reach and improve the quality of their services. I was reminding of this fact recently when I read through the 2015 Annual Report of the Ikazuchi Dojo located in Irvine, California. This school is operated by long-time friend and collaborator Josh Gold, a 4th dan practitioner, but more importantly a successful entrepreneur. 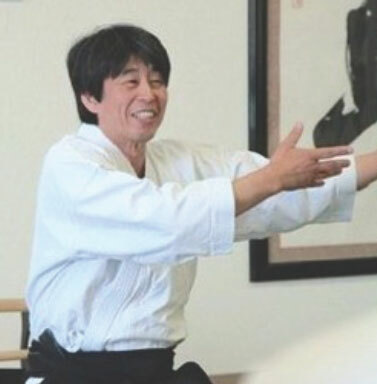 Its chief instructor is Haruo Matsuoka Sensei, widely known for his close association with action star Steven Seagal. 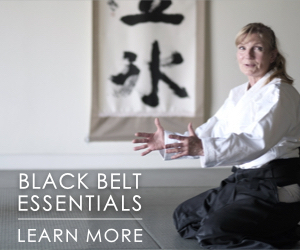 We seek to preserve the heritage, traditions, and spirit of the art and its founder, and we use every resource available to innovate, refine, and elevate what it means to be a martial arts dojo. We never stop questioning our assumptions and methods; we embrace how much we have to learn and grow. 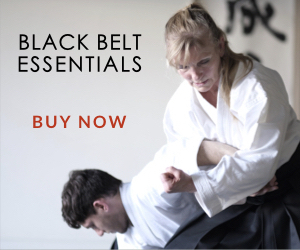 We focus exclusively on programs for adults seeking the extraordinary experience of becoming a high-level martial artist. To provide a deeper understanding and appreciation for the art, we are relentlessly committed to research and development, offering comprehensive instructional systems, and providing meaningful training and cultural experiences for our members. Our members range in age from 13-80, speak 20 different languages, draw from a variety of professional backgrounds, and include relative newcomers and decades-long practitioners. A truly diverse membership, we are united in our shared desire to cultivate a community that is open and welcoming to anyone who seeks a personal journey of development and transformation through the practice of aikido. A quick read of these lofty sounding statements might suggest this is merely promotional fluff designed to attract new members. In reality, it is a description of what the dojo has already achieved and its guiding principles that are strictly adhered to. 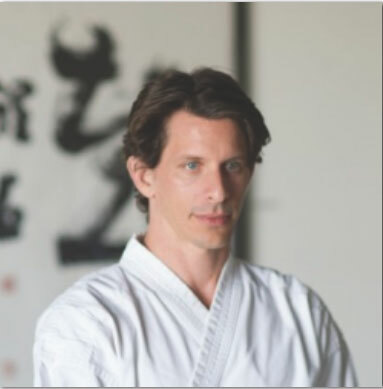 I had a long conversation with Josh Gold on this topic and was blown away by the scope and professionalism of the many dojo activities. I listed up several points that grabbed my attention from our conversation and a close study of the report. 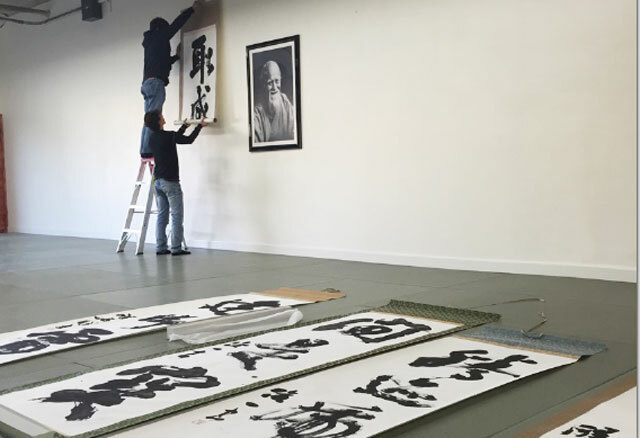 The Ikazuchi Dojo offers a beautiful facility graced with several stunning scrolls penned by Seiseki Abe, O-Sensei’s calligraphy teacher. The dojo offers the opportunity to develop its teaching staff through direct instruction from Matsuoka Sensei in a small group setting. The team of instructors meets regularly to discuss programs, align teaching methodologies, and develop training strategies for individual students. The dojo has instituted a new instructor development program, and rolled out a new breed of aikido programs for large organizations. Haruo Matsuoka Sensei travels annually to Japan to further his training and solidify his relationship with the Aikikai Headquarters in Tokyo. Matsuoka Sensei has forged relationships with prominent martial artists of diverse styles to exchange and cross-train. He recently appeared on the cover of Black Belt Magazine. An additional point I would like to draw your attention to is that the Ikazuchi Dojo does something virtually unheard of when accepting students. Prospects go through introductory courses to see if they are a good fit for the dojo training environment. Not everyone is encouraged to continue if their physical conditioning or commitment to practice is insufficient. Students enrolled in our traditional classes are extremely dedicated and their focus is a scarce resource: they invest substantial time and energy both in their own training and the support they offer their fellow students. We recognized that it wasn’t productive asking senior students to focus on the development of new students who weren’t staying for the long term. 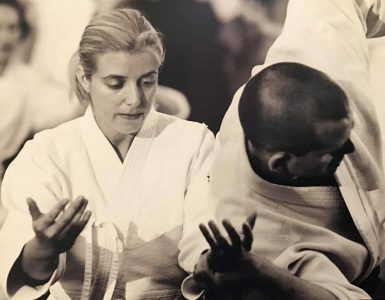 We have since been more selective about new students entering the program and redirected the focus of our senior students to those practitioners who have demonstrated a commitment to long-term development and a desire to become the foundation of the dojo’s future. I think this underlying philosophy is one of the not so obvious keys to the dojo’s success. There is so much information and innovative ideas in this report that are both eye-opening and inspiring. It is a cliché that one of the best ways of achieving success is to imitate a successful model. Well, the Ikazuchi Dojo is successful indeed! 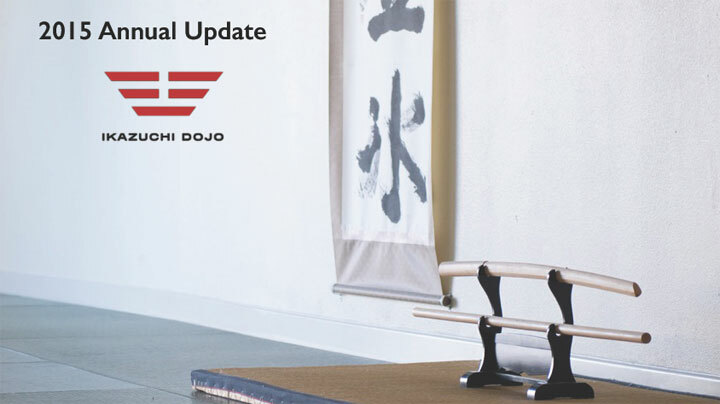 All dojo operators, instructors and senior students: download and thoroughly study this report… please! It is a blueprint for a successful dojo. Do it for yourself, do it for your students, and do it for the benefit of the art! Make O-Sensei smile! Thanks so much for this, Stan! I’m going to send it to our cadre of instructors and our chief instructor and hopefully we can bring about some changes in our organization. Great! Please keep us abreast of your progress. I said years a go that Aikido was in decline and there are many reasons for this. It would take too long to go into detail of every reason but I’ll list a couple according to my 20 years in Aikido. It’s funny but not surprising that with Stan’s wealth of experience and contacts in Aikido he selected the school associated with Steven Seagal. Steven Seagal is the greatest Aikido master of all time. In my opinion, he was better than Osensei. His style is unique, very special, interesting and most of all practical. He took out a lot of the useless traditional stuff that you still see taught in most typical Aikido schools today. 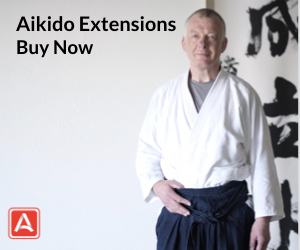 Most aikido schools today are just boring. You do the same boring technique over and over again and they are not even practical. The teachers talk all this O’sensei philosophy etc and the funny thing is, they have never met him. It’s naive and reckless. Unfortunately, taking the recommendations in this newsletter will not do the average dojo much good really. I think you can figure out why, here’s a clue…. Steven Seagal. Go on Youtube and watch most Aikido videos and you will see how pathetic it looks from a self defence standpoint. Sorry to say, but it’s true. Now go and watch the 2 min opening of Steven Seagals first film and look at the difference. The answers should be staring you in the face. Find me a video of any Japanese master and Osensei where their demonstration has more of an impact on Seagals’ at the start of Above The Law. There isn’t any. Look at the latest video clips of Lenny Sly who used to do traditional Aikido but then later moved to Steven Seagal’s style. Listen to what he says about it. He gets it. He gives the best explanation I have heard. The comments he is getting are echoed by many involved in Aikido. Go and watch the Aikido discussion with Joe Rogan on Youtube. He sets it straight. They actually study footage of Osensei and it causes a giggle in the studio. It’s on Youtube. Just type in: Joe Rogan Aikido. Steven Seagal carried the Aikido community for many years. A lot of people started Aikido and still do because of him. Matsuoka sensei is as close to the source (Seagal) as you will ever get. Another reason is, Gracie Jiu Jitsu turned the martial arts world on its head. We all know why. People see this on Youtube, and make a wise conclusion. The public are not stupid. If you look at the Aikido videos, most just get abuse and laughed at, even the video’s of Osensei. It’s understandable. I really enjoyed reading the comments on O’sensei from neutral people and it made me realize how easy and dangerous it was for Aikidoka to get brainwashed through coercive persuasion techniques, often used by cult leaders. Osensei had no magic, was NOT special in the least and died from the same disease many others have unfortunately died of. I personally think he was very overrated and over-hyped but that is typical of western man’s fixation with eastern philosophy when it comes to martial arts. Aikido has some good uses, don’t get me wrong, it has a philosophy that tries to teach good intentions but they’re not applicable for the modern world really, if we are honest with ourselves. I could go on and on but I’ll stop there. I’m delighted I am a dan grade. The only reason I stuck at it to become dan grade was so I could wear the hakama like Seagal at the start of Above The Law when I first watched it in 1990 at the age of 10. Seagal sensei was and still is, the very best. There is nobody like him and yes, I have been to Japan. Firstly, thanks for the information and insight you provide through the journal. Many aikido clubs train in church halls community centers, etc., and train in small groups, often only once per week, and do not have the luxury of full time premises. My teacher , Alan Pirie, started training in 1965 and for many years trained with a small group, with people coming and going. when I joined him in 1985 there were 5 of us, by the time of his death, in 1995, he had 60 on his books, with something like 60 mats, training 3/4 times a week, which must have been very pleasing for him. After his death, the club he created fell apart, and declined, although it is still running, Rising Sun Aikido club “hull”. I left and set up my own club Hull Aikido Club in 1995 which is still training, are there four clubs training in Hull now, due to Alan Pirie”s influence, and one in the south of England. There are many similar stories all over the world. When members of our club travel around either for work or holidays, they are encouraged to find a club to train at, they find small groups and large ones, what is the common factor is they are all training, large or small, the legacy , of Osensei and my sensei is to train. If we are fortunate that people will train with us, but what matters is to continue the training.